Hello, members and friends of Mission Peak Unitarian Universalist Congregation. I’m Paul K Davis, and I am your congregational President for the present term. Most of you know me, but it’s good to review from time to time. My father was a Methodist Minister during my childhood. My mother was a Baptist. Though I no longer agree with all of their beliefs, they have strongly influenced me. I seek to honor and respect them while pursuing my own logical search for truth, and living a loving life. It was early apparent that I had a gift for mathematics and science, which led me to earn a Ph.D. in physics from the University of California in Berkeley, and to spend much of my career working for NASA designing space telescopes. In the process I served two terms as President of the Ames Federal Employees Union. In 2005, after many years without a religious affiliation, I joined my friend Mark Rahman here at Mission Peak. I treasure my experiences here, especially what I have learned from Reverends Chris Schriner, Barbara Meyers, Joy Atkinson and Jeremy Nickel. The congregation is not my only interest in my retirement. I am a board member of the Sacramento Archeological Society, a volunteer at the Fremont Cultural Arts Council, an active member of the Fremont Area Writers, and a frequent violinist or violist in local community theatre pit orchestras. During my presidency, and next year during my service as Past-President, please feel free to talk with me about congregational issues. We are a democracy, and all members are an essential part of democratic success. Worship associates Kathy Wallcave and Ilze Duarte are co-leading this service. They will talk about the role that Unitarian Universalism and this congregation in particular have played in their parenting. They will also share how their children-Ilze’s teenagers and Kathy’s young adults–have lived out these values and viewed the spiritual foundation they have received as Unitarian Universalists. Kathy Wallcave and Ilze Duarte will lead the service. Jo Ann Schriner will provide our music. If you are a member of Mission Peak U-U Congregation you are invited to come meet with Congregational President Paul K Davis after the service on Sunday, August 26. Please ask me things about congregational business or tell me what I should hear. Drop in at our office any time between 11:30 and 12:30. 510-796-5722 for any pastoral care needs you may have. Don’t hesitate to reach out and thank you! if you are interested in helping. Rev. Jo will be in the pulpit for our Water Ceremony Service on September 9. Please plan to come for this special, annual service and to meet Rev. Jo. We will have a Congregational Potluck after the Service to allow time for lots of introductions. If you are interested in scheduling an individual meeting to get to know Rev. Jo, those will take place beginning in October and you can email the Transition Team to set up a date and time. If you have any questions about Rev. Jo and our new beginning together at Mission Peak, please email the Transition Team at transitionteam@mpuuc.org. DeAnna Alm (chair), Annette Breingan, Alan Davis, Holly Ito, and Valerie Stewart. this Friday at Fremont Street Eats. Fremont Street Eats is a weekly food and music festival organized by the Chamber of Commerce. This is a fun opportunity to share the joys of MPUUC with the Fremont community. No experience necessary, join us, bring your friends and family. mpuuc.org/dresearch. Please pass it along to anyone who may be interested. September 9: After Service (this is our Annual Water Service) there will be a Congregational Potluck Picnic – welcoming ALL to MPUUC- especially Rev. Jo. Black & White Gala – SAVE THE DATE – November 3rd: The Black & White Gala will be Saturday, November 3 from 6:00-10:00pm. Please PUT IT ON YOUR CALENDAR, invite friends, plan your outfit (our theme this year is Mardi Gras), and start thinking of items you can donate to the auction and make for the boutique. It will be a great event and a TON of fun, but we can’t do it without you!! Sunday of each month is currently vacant. Sunday of each month need additional volunteers. It’s your community. Be a part of it with a little time and talent, too! 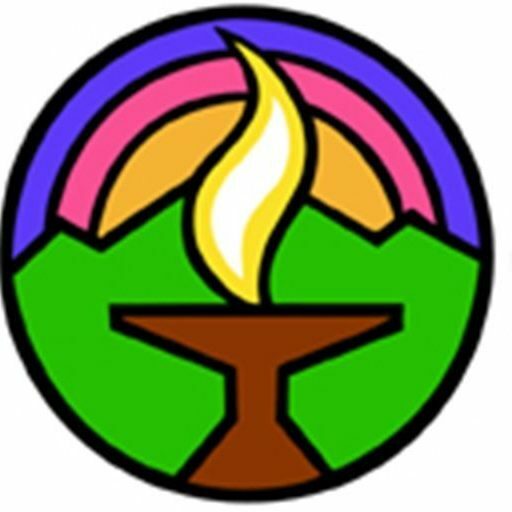 The Tri-City Interfaith Council (tcicouncil.weebly.com) is a grass-roots organization bringing together people of diverse religious beliefs from Fremont, Newark, and Union City (California). Rev. Barbara Meyers and Paul K. Davis are members. Join in! To promote respect, understanding, cooperation, and appreciation for the many spiritual paths and faith traditions within our community which inspire and teach us to love and support one another more fully. We are people from various spiritual backgrounds and experiences who envision an inclusive society in which people of all faiths and traditions respect and appreciate one another. At the MPUUC Board meeting this week the Charter for the new Fellowship Committee was approved! 1. Planning and executing events designed to bring together Mission Peak members & friends for different activities such as: Potlucks, picnics, game nights, musical events, etc. 2. Serving as a resource for other committees who want to plan an event. The fellowship committee will be available to help plan events and possibly oversee some or all of the logistical aspects of the event (food, audio visual, set-up, clean-up, etc.) leaving the members of the committee or group sponsoring the event to focus on the content of the event. 3. Planning and executing the annual Black & White Gala fundraiser for the congregation. et’s get this party started! All we need is YOU!! After the service this Sunday (and many Sunday’s to come) we will be outside during coffee hour with sign-up sheets galore! We will be soliciting your ideas for events, asking for committee members & ad hoc volunteers, and asking you to sign up to help plan, implement, and participate in this year’s Black & White Gala. Please stop by and sign up!! If you have more questions about the Fellowship Committee, please check out our charter on the Mission Peak website or talk to Fellowship Chairperson – Jen King. Sunday, plus some outside funding, we have raised most of the money to cover Cat’s fee! on Sunday, August 12, but would still like to, simply drop a check made out to “Mission Peak” in the collection plate this Sunday with “Communication Workshop” written in the memo line. Any money left over after the event will be used for future community building and leadership training. Thanks, and hope to see you there.